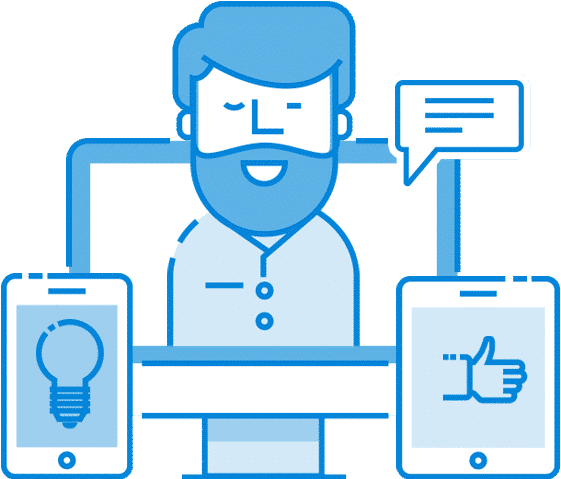 EmbedSocial for Agencies helps you sync with multiple social media accounts and create unlimited review widgets, respond to reviews on multiple Facebook Pages and more. Really. Most tools that support agencies charge by the number of websites that will display reviews. And many of those tools charge for additional features. We do neither. Our plans are based on a number of reviews sources and the Agency plan users can create unlimited embeddable review feeds. Easily respond to reviews from multiple Facebook pages from one single platform, in seconds. 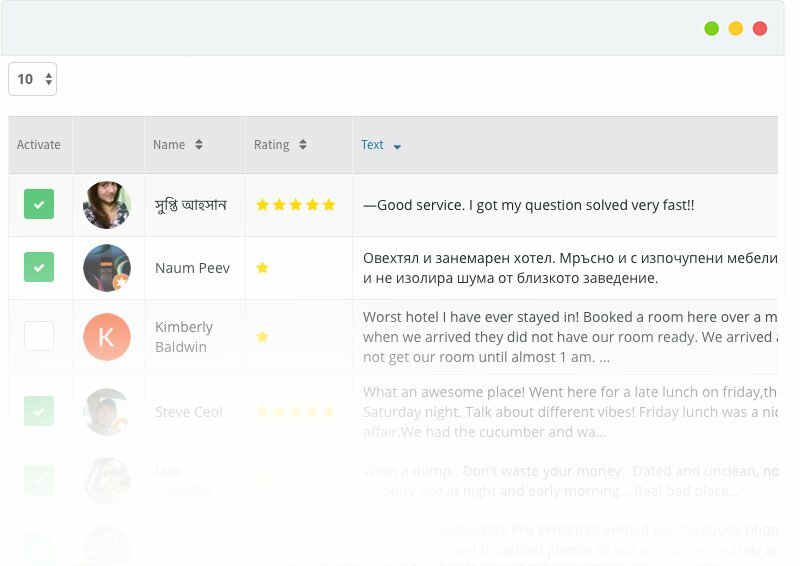 Our system displays all reviews, user comments, and your replies so you will never need to navigate to your clients’ Facebook pages and manage their reviews. EmbedReviews integrates with the APIs of the major review platforms. That’s a geek talk for “you’ll get all your Facebook reviews in one place at one click with options to search, analyze, moderate and display on your website." We also sync with Google, Yelp, and provide an option to generate reviews on your clients’ websites. To create a review feed for your clients' websites you will just need to select the review sources and moderate the reviews you want to display. With the Premium plan you can create multiple review widgets for multiple websites. You do not need any development skills to do this. You can use one line of code to display the reviews on your clients website. Just copy/paste it in the body section of the website. We offer direct support for our agency clients and a full knowledge base with tutorials and video resources. Watch the video below to get started. The EmbedReviews platform is built to support multiple websites, so you can use on Agency account to create and manage multiple web widgets for different clients. Sync multiple reviews sources, such as Facebook, Google, Yelp, Web widgets and aggregate all your client's customer reviews in one place. Use the tools to moderate and choose the ones that will be best to showcase on your clients' websites. Manually add custom reviews in your web widgets.